Mr. Selfish and I are not really party animals. Truth be told, we’re pretty much old farts when it comes to partying and clubbing in a big city. 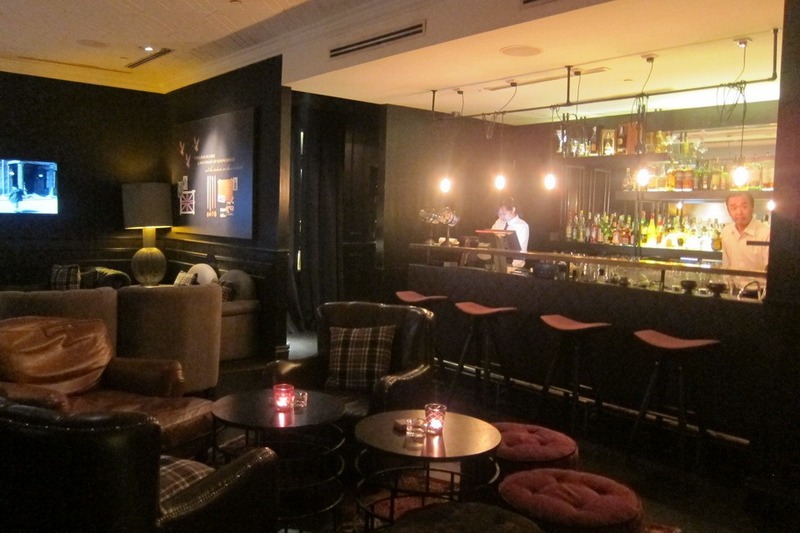 However, we do enjoy nice cocktail bars with fancy drinks. 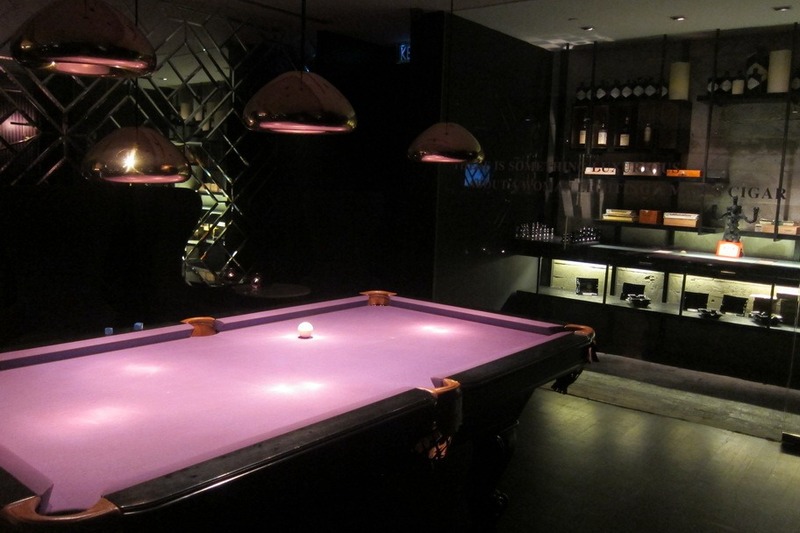 We hadn’t been to a swanky cocktail bar in a while, so we decided to go to Tate while in Kuala Lumpur. “Some days, Batman just wants to be Bruce. Not Bruce Wayne, just Bruce. It was an interesting introduction, and I was intrigued. 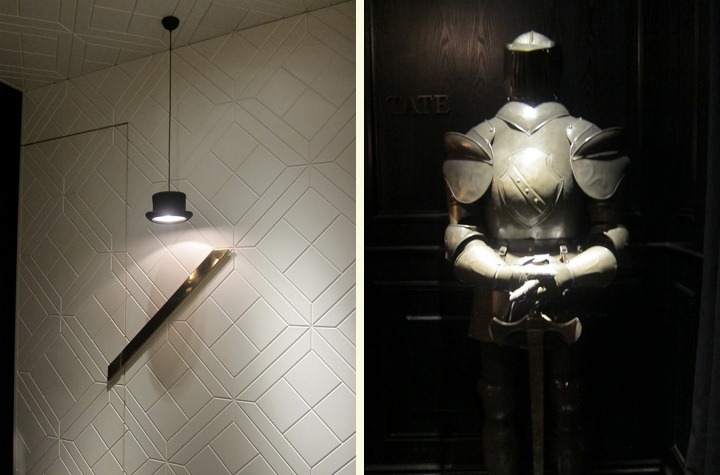 The Tate is located in the Intermark and is behind an unmarked door next to a hanging top hat. 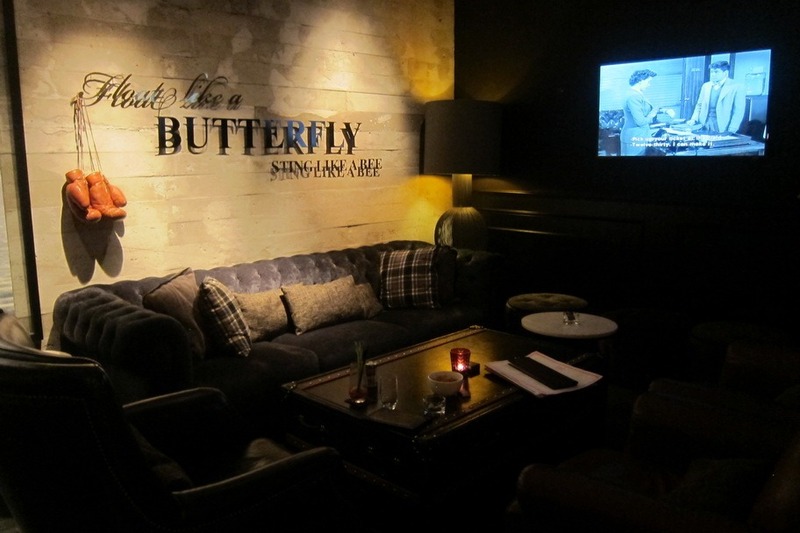 The bar is themed like a speakeasy during the Prohibition Era. All of the televisions were playing old Superman episodes, which me and Mr. Selfish found surprisingly hypnotizing. While still in Orlando, Mr. Selfish discovered a beef rendang recipe on allrecipes.com and fell in love with it. Since there were no Malay restaurants in Orlando, we kept cooking this one recipe of beef rendang, which epitomized Malay food for us. 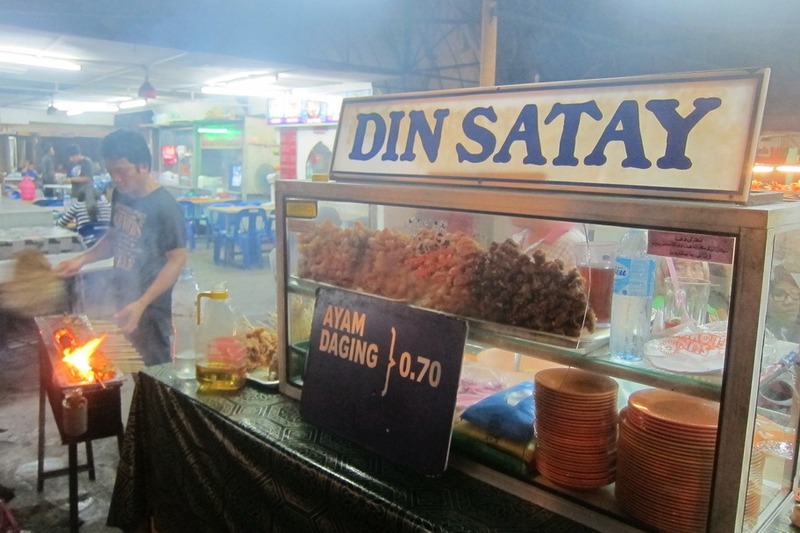 We knew that we would try as much Malay food as possible while in Kuala Lumpur. 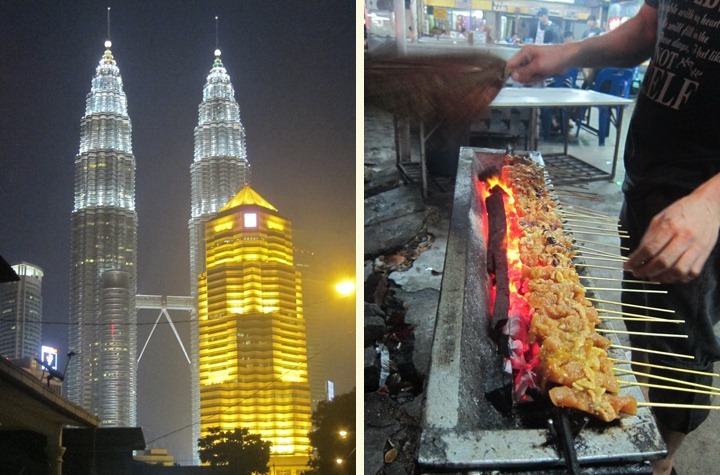 During our first night in KL, we walked to Kampung Baru to feast on Malay street food. 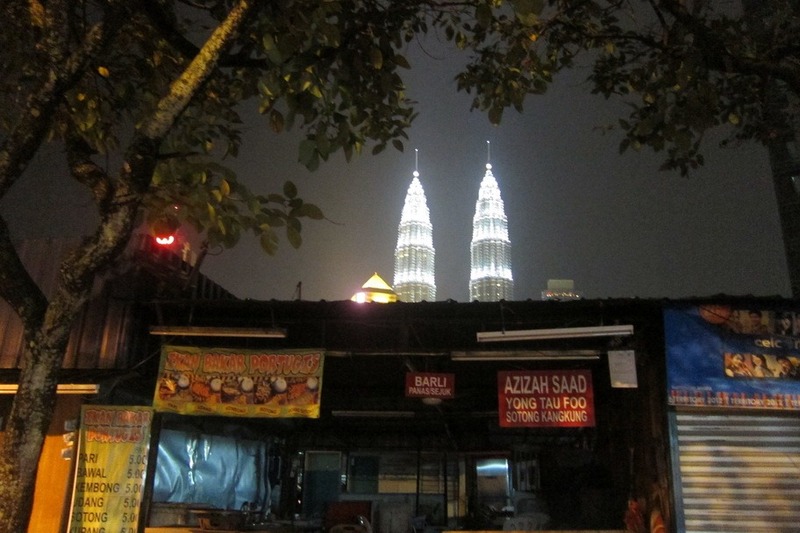 The view from the night market of the Petronas Towers was magnificent, and the food was great to boot. First, we tried some delicious chicken and pork satay. They were cooked over an open flame to perfection. Mr. Selfish and I stayed in Kuala Lumpur for three nights. When I found out that Kuala Lumpur had a bird park that it touted as the “world’s largest free-flight walk-in aviary,” I knew that we would visit it. I had to take two photographs because the owls don’t play too nicely with the other vegetarian birds. I loved the Malay Eagle Owl (on the right). His feathers give him so much character!